Chicago —(ENEWSPF)—August 4, 2017. 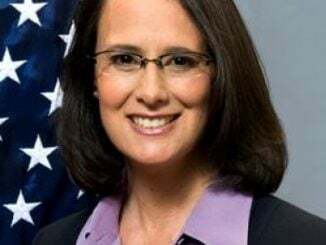 Attorney General Lisa Madigan, along with 15 other attorneys general, filed a new amicus brief in the Hawaii travel ban litigation, opposing the administration’s appeal of the decision by the district court that the ban should not prevent grandparents and other close relatives of United States residents from entering the country. The amicus brief was filed late Thursday in the U.S. Court of Appeals for the Ninth Circuit. In June, the U.S. Supreme Court held that nationwide injunctions entered against the travel ban by two courts should remain in place with respect to persons having a “bona fide relationship with a person or entity in the United States,” including persons having a “close familial relationship” to a U.S. resident. Last month, Hawaii filed a motion in State of Hawaii and Ismail Elshikh v. Donald Trump, et al. 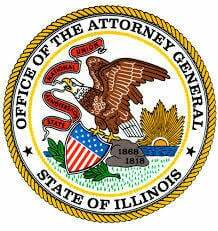 to clarify the scope of the remaining injunction in that case, which was supported by Madigan and a coalition of attorneys general. While the district court and the Ninth Circuit Court of Appeals declined for procedural reasons to address that motion, the Ninth Circuit observed that Hawaii could seek injunctive relief from the district court on the question of how “close familial relationship” can be defined. The plaintiffs then filed a motion seeking, among other things, to enforce the district court’s preliminary injunction, supported by an amicus brief led by the same coalition of attorneys general – who argued that the Trump administration too narrowly interpreted “close familial relationship.” Following those filings, the district court partly granted the plaintiffs’ motion, interpreting the term “close familial relationship” to include grandparents and other close relatives beyond the nuclear family. The administration has since appealed the district court’s decision in the Ninth Circuit. Joining Madigan in filing the amicus brief were the attorneys general from: California, Connecticut, Delaware, Iowa, Maine, Maryland, Massachusetts, New Mexico, New York, Oregon, Rhode Island, Vermont, Virginia, Washington, and the District of Columbia. Attorney General Madigan has condemned the federal immigration executive orders and has filed 12 amicus briefs in five separate lawsuits challenging the constitutionality of the travel ban executive orders.